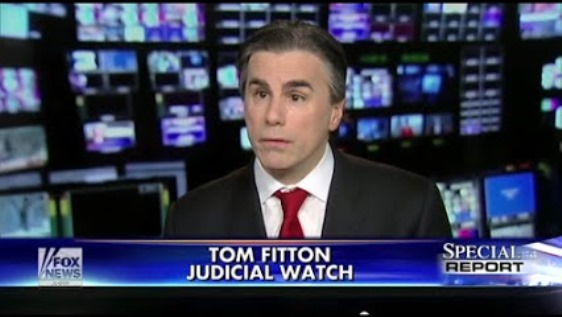 Our friend Tom Fitton and his colleagues at Judicial Watch are among the most effective defenders of freedom and opponents of corruption (no matter which Party is behind it) at work in Washington today. While their Freedom of Information requests and lawsuits cover the entire range of government secrecy and corruption, three areas in which they have been especially effective that we referenced in the past are the IRS targeting of conservatives, the Benghazi investigation and Obamacare. But there’s another area they have done very important work, perhaps more important than all the others, and that is election integrity. Judicial Watch is one of the few organizations working to stop Obama and Attorney General Eric Holder from institutionalizing the corrupt election practices that would guarantee their brand of far-left progressivism holds power for generations, despite the will of America’s legitimate voters. Due to the complexity of the various lawsuits described we reproduce in its entirety a lengthy Judicial Watch update on one of the most important election integrity cases, the appeal from the Fourth Circuit Court of Appeals ruling on the North Carolina voter ID law. If you're a state election official tasked with updating and reconfiguring election practices to combat voter fraud, you can expect to be maligned a "racist" regardless of how laudable and honorable your intentions might be. Those who play this race card are lately using the so-called "disparate impact" theory to attack state laws that, for instance, require some type of photo or other identification in order to vote. In October, the U.S. Court of Appeals for the Fourth Circuit issued an opinion that enjoined North Carolina from eliminating same-day voter registration and out of precinct voting based on the dubious notion that any changes to election law that impact minorities in a "disproportionate" manner are contrary to federal law. We have joined with Alliance Educational Foundation (AFF) in the filing of an amicus curiae brief with the United States Supreme Court in opposition to this bizarre ruling from the Fourth Circuit. Amici believe that the decision by the U.S. Court of Appeals for the Fourth Circuit raises important issues of federal election law which should be heard by this Court. In particular, amici are concerned that the Fourth Circuit's ruling, if allowed to stand, will undermine voter confidence in the integrity of elections, enshrine a new race-based standard in Section 2 of the Voting Rights Act, and guarantee, as a practical matter, that no state will make changes to its electoral laws, whether to ensure electoral integrity or for any other reason, if those changes will in some way disproportionately affect minority voters. The consequences attached to the Fourth Circuit's radical restructuring of Section 2 are difficult to overstate, which is why this must be settled by the U.S. Supreme Court. For starters, the ruling does not require voters to show that they face a burden that is substantial or beyond their practical control. Instead, voters challenging election procedures under Section 2 need only establish a racially disproportionate impact - and almost every statute will have such an impact - plus a general history of discrimination, regardless of whether it can be tied to the loss of any particular electoral opportunity. The Fourth Circuit also imports a new, race-based element into the enforcement of Section 2. The only way to give meaning to the requirement that a racially disproportionate impact must be linked to "social and historical conditions" relating to discrimination is to assume that this refers to our lamentable national history of discrimination against blacks and other racial minorities. If so, then a corollary of this requirement is that white voters can never successfully allege a claim of "vote denial" under Section 2. Yet no court has ever held that Section 2 is race-based in this way. To the contrary, successful vote denial claims have been brought on behalf of white voters. This logic-free racial "disparate impact" analysis behind the attack on election integrity laws is behind harassing litigation not only in North Carolina, but also in Wisconsin, Ohio, and Texas. In addition, several other states are considering new election integrity measures involving a variety of issues, including the measures discussed in North Carolina. The National Conference of State Legislatures (NCSL) reports that 14 state legislatures considered either new photo or voter ID laws or amendments to existing laws in 2014. Just since the start of 2015, New Mexico, Nebraska, and Nevada have introduced plans to adopt new voter ID laws. You can expect "disparate impact" challenges to these measures. The NCSL also reports that state utilization of early voting and same-day registration procedures are in constant flux. At present, every time one of those statutes is altered or repealed, a violation of the Voting Rights Act could be alleged unless the Supreme Court takes a stand. Importantly, the brief before the Supreme Court confirms that minority turnout increased markedly in the November general election. Attorney General Eric Holder asserted that the state's new laws would restrict "access and ease of voter participation" and "would shrink, rather than expand, access to the franchise." One [taxpayer-paid] expert in the Justice Department lawsuit claimed that more than 200,000 black voters, along with 700,000 white voters, would be "burdened" in an off-year election. Another expert concluded that particular provisions "will lower turnout overall" and "will have a disparate impact on African-American voters." Those predictions were not borne out. The 2014 elections were the first test of the impact of North Carolina's new laws, including a "soft rollout" of its voter-ID requirement-under which poll workers asked voters if they had ID and if not, to acknowledge the new requirement in writing. Board of Elections data showed that the percentage of age-eligible, non-Hispanic black residents who turned out to vote in North Carolina rose to 41.1% in November 2014 from 38.5% in November 2010. In 2013, both houses of the North Carolina legislature passed the Voter Information Verification Act (HB 589) popularly known as the "voter ID law," overhauling the state's election laws. This sensible reform put North Carolina in the sights of Eric Holder and activists such as Al Sharpton, who was part of an anti-voter ID meeting at the Obama White House with Eric Holder and other like-minded activists in the racial-grievance industry. Sharpton subsequently told MSNBC that based upon what he heard at the "unprecedented" meeting, he expected action regarding North Carolina "when this governor signs the bill." Sure enough, on September 30, 2013, as per Al Sharpton's assurance after his meeting at the Obama White House, the DOJ (following on lawsuits by the NAACP and the League of Women Voters) filed its complaint, asking the court to require federal pre-clearance before the state could enforce the HB 589 provisions. A lower court had rejected the DOJ-led efforts to stop the law, leading to a review by the Fourth Circuit, which ruled against North Carolina just prior to the November 4, 2014, elections. North Carolina immediately asked the Supreme Court for a temporary stay of the Fourth Circuit's ruling. The Supreme Court granted the stay, allowing North Carolina's election integrity rules to be used for the November 4 election. Now, North Carolina is asking the Supreme Court to review the Fourth Circuit's ruling on the merits so it can be properly overturned. Loretta Lynch, President Obama's nominee for U.S. Attorney General, has made it clear she approves of lawsuits the DOJ has filed against states like North Carolina to block voter ID and other election reform efforts. Separately, Judicial Watch exposed how the DOJ paid $70,000 to an expert to testify in the North Carolina litigation that black voters are "less sophisticated" than white voters. The DOJ expert, political scientist Charles Stewart, also alleged that black voters tended to be "less educated" and "less attuned to public affairs." President Obama and General Holder are crying wolf about threats to voting rights. They want to renew federal power over state elections and to keep their political allies in the government fully employed. They must believe Americans will believe anything. To learn more about Judicial Watch and their work on election integrity, the IRS targeting of conservatives, Benghazi, Obamacare and other government secrecy and corruption issues please go to judicialwatch.org. Submitted by rgeorge137 on Sun, 02/15/2015 - 10:02. The American public is endanger of losing our ability to have open and honest elections if the trends we see in several states continue unchallenged. There are at least three approaches that the Progressives are pushing that will lock out Conservative votes in future elections. 1. The left is doing everything they can to bloat the voter rolls with as many invalid voters as possible using the excuse of not wanting to suppress the vote by cleaning up the voter rolls. Virginia has over 400,000 voters that have duplicate registrations in other states. The Commissioner of Elections wants to make all of them Inactive which will keep them on the voter rolls and able to vote until 2019. 2. Several states have passed laws that allow the state to issue mail in ballots to everyone that is a registered voter. These ballots are not controlled once sent to the voter which allows votes to be sold to the highest bidder, all under the excuse of convenience for the voter. 3. Nine or ten states have passed laws that will in effect negate the Electoral College by forcing the state to instruct their Electors to cast their vote based on the results of the national popular vote. America will be controlled by only highly populated states. Small states will have no say in Presidential Elections. American's need to wake up. Their vote is being diluted by dead, non-citizens, non-residents, and felons voting in our elections and our Constitutional right are being infringed by the Progressive elites and their stupid voters.